As the best metal packaging company for multimedia products in China, Tinpak is able to make blu-ray tin boxes and now we have 4 existing tools in different styles. Besides, Tinpak can make any new blu-ray tins according to drawing or a sample box. Easter Egg tin lid and base both are deeply drawn parts and the height limit is 50MM and the length is 150mm. We have several existing Easter Egg tins and if you accept any of our existing tins, you can save all the development costs. Tinpak are technically strong with multi-level embossing to meet your Christmas tin boxes attractive and specials. 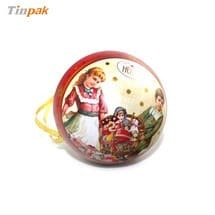 Besides, we have rich experience to realize the very fine embossed elements in the CHristmas tins. As an expert of decorative tin boxes, Tinpak can make acute corner tin boxes. Since 2006, we started to make acute corner tin boxes for different clients over the world and we now have rich experience with acute corner tin box tools and production management. 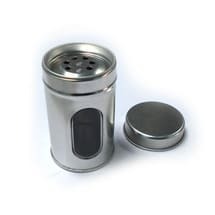 Tinpak need a drawing which tells us an idea of your tin box or detailed description of the metal box you need. We can generate a computer prototype or 3D visual for your approval before we start to work on the the plastic sample. Usually Tinpak keeps the prices valid within 45 days after we provide the prices. That is sure we are open to discuss any special tin packaging project. Yes, Tinpak is willing to provide clients with different prices for different quantities of tin boxes. Once we know the breakdown quantities of enquired tin boxes, we usually offer client a price range as per the cilent's request. Tinpak understands a small client can grow to be a larger one, we accept small order quantity of 5000 pieces of tins or an order with value of 3000USD. 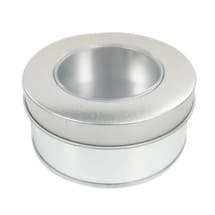 In addition, if Tinpak have stock of silver tins, we can offer some hundreds of pieces.